False Killer Whale (Pseudorca crassidens). Source: Protected Resources Division, Southwest Fisheries Science Center, La Jolla, California, Public Domain, U.S National Oceanic and Atmospheric Administration. The whale theme continues at the museum this week! On 13 April 2016, we received a donation of the remains of a false killer whale from Underwater World Singapore (UWS). We are thankful for this generous donation and the support from UWS. While news of the Singapore sperm whale has dominated the press since last July, little is known about Willy, the false killer whale that was stranded in Singapore more than two decades ago. On 23 January 1994, two men who went crab hunting off Tuas spotted the whale, which they initially mistook for a shark. They alerted Underwater World Singapore (UWS) and the animal was identified as a false killer whale by UWS divers despatched to the site. 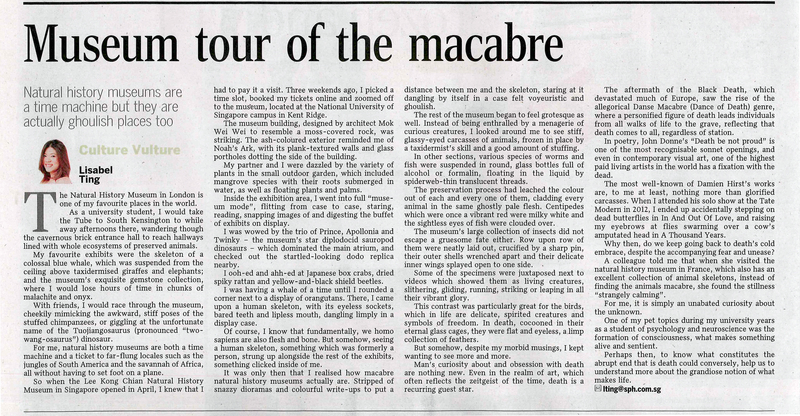 The Straits Times article about Willy’s stranding back in January 27 1994. News of the whale stranding spread and captured the nation’s imagination. The whale was dubbed ‘Willy’ by the press after the highly popular 1990s film “Free Willy”, a stirring story about a boy who befriends a killer whale or orca called Willy—which was captured from the wild—and sets him free. Rescue attempts to move the whale into deeper waters spanned a week but were ultimately unsuccessful. Willy later went missing on 29 January 1994 and was found dead the next day by some fishermen. The UWS then collected the body to conduct a post-mortem and solve some of the mysteries surrounding her arrival and death. As the autopsy was underway, it turned out that Willy was an old adult female, and not a young adult male as first presumed. The cause of death was also identified as a combination of infectious injuries, old age and severe trauma as a result of being trapped in the bay. Separated from her group, with numerous puncture wounds on the left side of her body, these were probable factors that caused Willy to seek shelter at Tuas. Willy was also found with an empty stomach, indicating that she was highly stressed at that point in time. Willy’s body was later buried at Lorong Halus in Tampines. Her lower jaw with ten intact teeth was salvaged and preserved and used as an educational display at UWS. Willy’s remains consisting of ten teeth and a lower jaw. Photo by Jeremy Yeo. What does this represent for us at the Lee Kong Chian Natural History Museum (LKCNHM)? 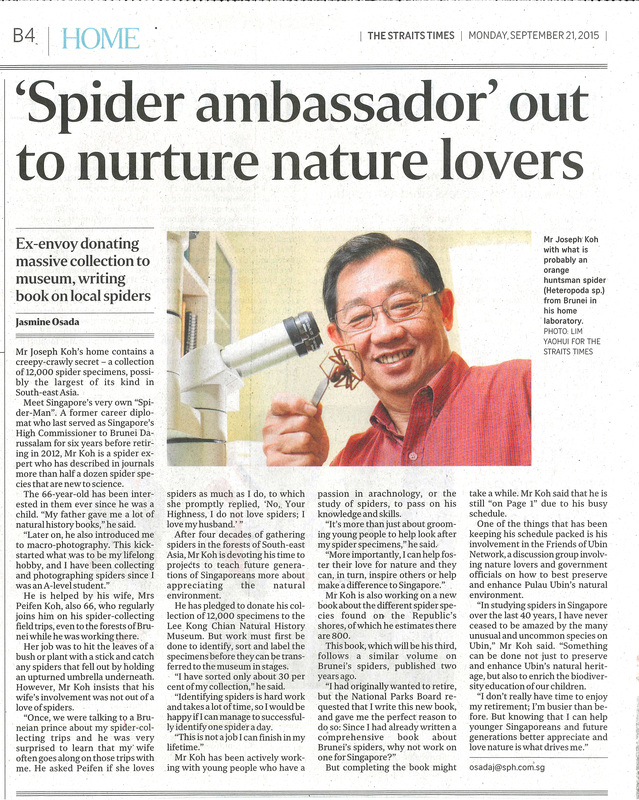 The donation represents another important and key addition to the mammal collection at LKCNHM. With the accession of this false killer whale specimen found locally, the mammal collection has been further expanded and we believe, would add to our knowledge of cetaceans in Singapore waters. We hope that the evidence of the wonderful marine life in our waters will further serve as a reminder for future generations to treasure the rich marine biodiversity that surrounds our little red dot. For more information on the story of Willy, you can find it at the Nature Society Singapore’s newsletter, The Pangolin, Volume 7, 1994. Sketch of Pseudorca crassidens head. 1866. Source: Recent memoirs on the Cetacea. Author: W.W.
A trip to the history museum opens new vistas for kids but is it all a little too much? Wake up on a Sunday, convinced you have to do something educational with your children. Trawl websites for ideas. Decide to go to Lee Kong Chian Natural History Museum. Buy tickets online and print them out while still wearing your pyjamas. Drag children, groaning, out of the house. Drive to the museum. Find it because it looks like a giant lump of moss-covered clay. Beat a beat-up Mazda to a prime parking space. Whole family cheers. Hang out at the eco-roof garden until your allotted time of entry. Wrestle with the museum’s official app. Point out mangrove plants in the garden, the spores on the underside of fern leaves and fish fry in the ponds. Natter on. Look up, and realise that the kids are squinting at their father’s iPhone screen in the bright sunlight. Throw a fit. Go back downstairs; go through the turnstiles. Feel a slight sense of urgency: Everything must be examined in less than two hours, before your time is up. Battle other parents to lift the almost-six-year-old up to the eye pieces of microscopes to look at bacteria. Keep opening your mouth to pontificate about fungi and molluscs. Keep stopping in mid-sentence, when you realise your kids have run off. Look sheepishly at strangers. Give up and, alone, examine the bank of creatures preserved in jars along a back-lit wall. Marvel at sea whips, daisy sponges, fat-armed jellyfish and a Reeve’s turtle – long dead, and suspended in chemicals and time. Gawk and shudder a little at worm specimens. Flit back and forth between display case and wall captions – a busy bee soaking up facts. You are taller than most of the kids crowding around but you feel eight again. You remember the excitement of school excursions, the thrill of looking at something other than textbooks. Try and ignore the fact that your two sons are having pretend lightsabre fights and running in circles somewhere in the biodiversity gallery, their footsteps echoing. Pretend not to know them. Go for micro over macro. Remain strangely unimpressed by the expensive dinosaur bones rising like cranes up to the ceiling in the centre of the room. Systematically catalogue every tiny cowrie shell and beetle with your eyes. Imagine you are a camera. Thai zebra tarantula. Click. Crucifix swimming crab. Click. Carpenter bee. Click. File away facts to use, either casually in conversation or in some literary short story you will one day write: Jewel beetles (Chrysochroa toulgoeti) are shiny and metallic-looking, not because of pigmentation but because of the way their exoskeletons reflect light. One of your children comes to you and begs to go home. Too late, you remember that he has a deep phobia of snakes, and an aversion to other reptiles and insects. This effectively rules out more than two-thirds of the exhibits at the museum. You tell him you will steer him to the mammal section. Tell him it is safe there. You put your hands over his eyes, and your husband takes one of his hands, his younger brother the other and, together, the entire family – like some strange new eight-legged and six-eyed insect – crawl slowly, excruciatingly, across the atrium, under the mirthless gaze of the dinosaurs. Along the way, you try to get your children to stroke a panel of possum fur because it is soft like a dream. The elder son screams because he spots a scrap of bleached snake skin right next to the fur. You realise that sand dollars are actual living things – not lost money on the beach, which is what you always pictured them as being when reading about them in books. The clash between old ways and philosophies, and new identities and nationalities, intensifies after you climb the stairs to the Heritage Gallery. Singapore founder Sir Stamford Raffles’ stuffed birds and monkeys sit quietly, a few cabinets down from a drawer containing a Singapore $1 bill featuring a photo of a black-naped tern taken by Datuk Loke Wan Tho, who built up Cathay Organisation. The children press buttons in the sound booth. They have exhausted the possibilities of the dinosaur app. Nature refuses to be pinned down. You see the error of your ways, trying to herd your children’s imagination through life, so they learn the way you do. Meditating in front of the jars of pickled snakes, you overhear one young man telling a few others that the python coiled up over there has two penises, and one of them is showing. “Why?” you blurt out, before you can stop yourself. “Why what?” he asks, startled. “What is the second one for?” you ask. “I don’t really know,” he replies. Months later, you will still be wondering about this. You will look it up on the Internet and find an explanation: Female snakes are able to control which male snake they mate with will fertilise their eggs, so having two penises helps the male increase their sperm count, maximising their chances of reproduction. You will realise you need to wait for the younger son to grow up before you have someone to tell it to. But in the museum, you nod at the young men, who scurry away from you, embarrassed. What you must do next is this: Gather your children. Tell them it’s time to go home. Stop by the gift shop if necessary, and buy yourself a piece of petrified wood. Drive away, and cheer again as a family when you realise that parking is free. Promise yourself to do this again. That some of it will sink in. A walk through Singapore’s first and only natural history museum is meant to be a serene experience, much like taking a walk in a lush forest. That is why the Lee Kong Chian Natural History Museum, which opens to the public next Tuesday, is barring selfie sticks and flash photography. It is also selling tickets for 11/2-hour slots and not daily passes allowing guests entry at any time they choose. There are six such sessions a day, with the first at 10am and the last at 5.30pm. Each slot can take about 200 people, and tickets must be pre-booked through ticketing agent Sistic and will not be available for sale on site. Tickets cost $20 per adult and $12 per child, but Singaporeans and permanent residents enjoy discounted rates of $15 per adult and $8 for a child. As of 6pm yesterday, 1,818 tickets had been sold for visits from April 28 to May 31. Professor Ng stressed that guests would not be turned away the minute their time runs out. The time limit is an administrative guideline for selling tickets, to control the crowd in the 2,000 sq m exhibition space, he added. 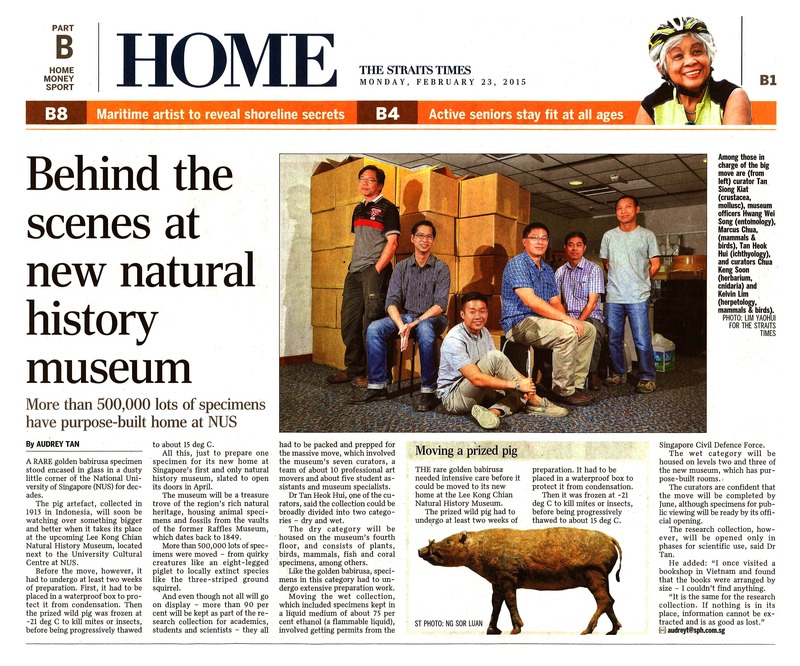 Visitors to the museum, which is located within the National University of Singapore campus in Kent Ridge, can browse a treasure trove of 2,000 artefacts in its biodiversity and heritage galleries. 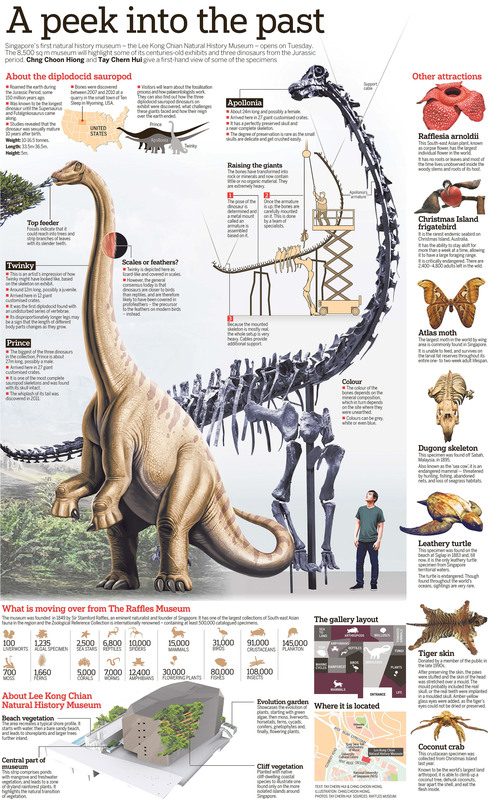 They include the genuine fossils of three diplodocid sauropod dinosaurs, which are among the largest creatures to roam the earth 150 million years ago. The $46 million museum building was funded through philanthropic gifts, with the Lee Foundation donating $25 million. In response to netizens who ask why the museum is charging an admission fee when most other museums here do not, Prof Ng said it was because it is not an institution under the National Heritage Board. The statutory board under the Ministry of Culture, Community and Youth runs six museums here, including the National Museum of Singapore, to which Singaporeans and permanent residents enjoy free admission. 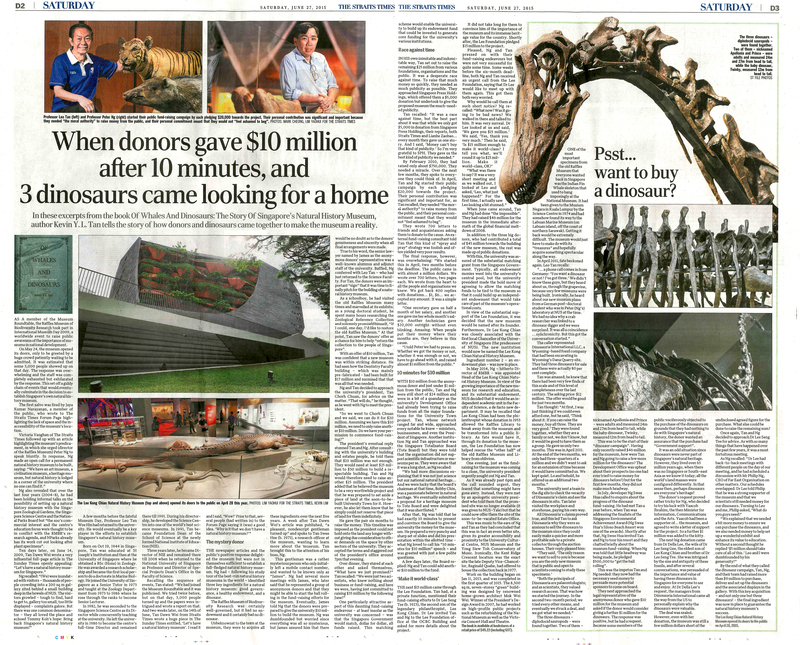 “The museum needs to be financially independent. The endowments and donations have been able to subsidise a large chunk of operating costs, but not fully. We therefore need ticketing to offset some of those costs,” Prof Ng said.